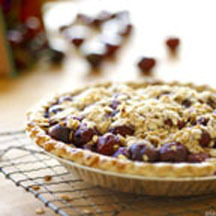 CooksRecipes has quality, kitchen-tested recipes for a variety of cherry pies that you can count on for successful deliciousness. "Can she bake a cherry pie Billy Boy, Billy Boy?" 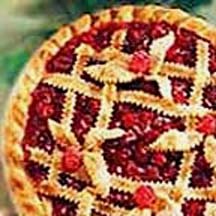 Yes she can with this easy and simply superb cherry pie recipe...and absolutely no red food coloring is used in the filling! 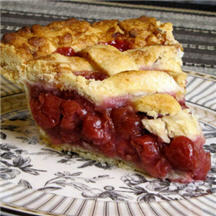 There is such a thing as an easy cherry pie recipe, the California Cherry Advisory Board's 'Easy as Bing Cherry Pie' is as simple as it gets — with foolproof, delicious results.